Another year has come and gone, with a plethora of new memories [maybe not as many posts, but that’s because he’s keeping us busy!]. Our year has been filled with on the fly toddler-translations, and dinosaur data out the whaazoo. 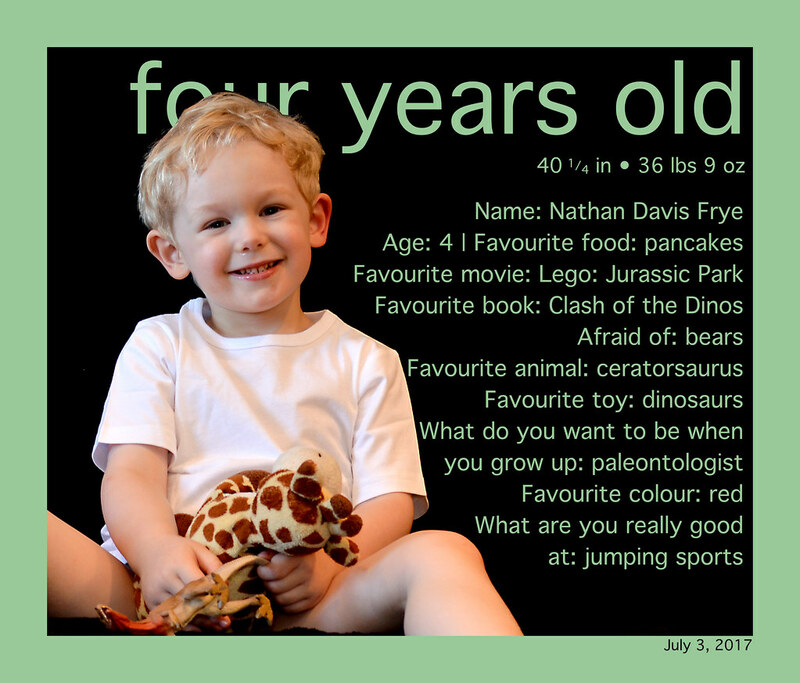 Anyone that has been around Nate this past year knows he’s FULLY obsessed with all things dinosaur – books, toys, clothes. I now know an abnormal amount about dinosaurs to be prepared for his questions & quizzes, which sometimes he fakes me out about (re: “I don’t know, ask Google”). With “big kid school” on the horizon, I have found myself constantly reminiscing about the little boy we had 4 years ago now. He’s grown up so much this past year, watching old videos and looking at photographs I can’t believe how much he’s changed in the last year. His manners have come in ebbs and flows, but his beautiful little soul is always there, with a coy smile, or big dino hugs, or an evil laugh. I can’t wait to see how he flourishes in JK, making new friends and learning new things at break-neck speeds. Here are the other months as well for your enjoyment.